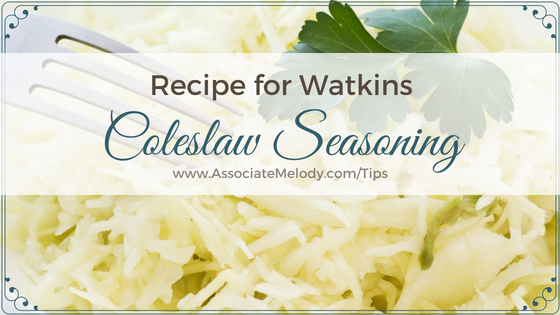 I love a good coleslaw and this seasoning was my secret ingredient in my slaw! 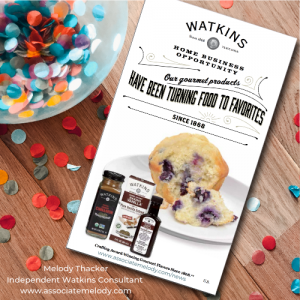 Watkins coleslaw seasoning hasn’t been available for quite a number of years and people still ask for it. I just got access to the secret recipe so you can make it yourself. Guess my secret is out but it’s too good not to share. I’ve included a printable recipe for your convenience. I’m a big fan of quick and easy, and this fits the bill. I also prefer using real food over processed. 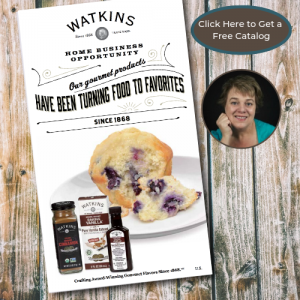 This recipe calls for Watkins new organic herbs and spices. 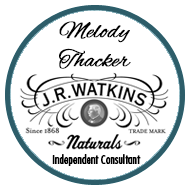 Just so you know, I’m an Independent Watkins Consultant and if you purchase Watkins products through my link I’ll earn a commission. Thanks in advance, you’ve got good taste! Instructions: Combine all ingredients until well blended. Store in an 8 oz glass jar. 1 tablespoon/15 ml Watkins coleslaw seasoning. Instructions: Combine all ingredients, and mix well. Store in refrigerator until serving time. Makes 4 servings. Combine all ingredients for seasoning until well blended. Store in a 8 oz glass jar. For salad, combine all ingredients and mix well. Store in refrigerator until serving time. Makes 4 servings. You can use pre-shredded cabbage if you’re in a rush. I like adding grated carrot to our salad for added color and extra nutrition. What do you like to add to your coleslaw?